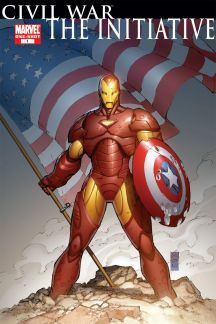 Join us as we take a loot at the first of five guest-starred issues that served as Bendis' comic contribution during Civil War. In Howard Chaykin's issue, we look at Captain America who just wants to draw. Sadly he gets betrayed by Dum Dum, harassed by Hank Pym and smack the Shocker. 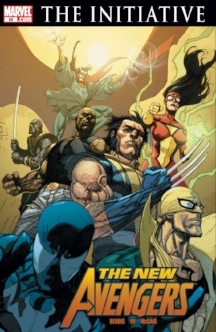 Sentry and the Inhumans... What do you want from me? We cover EVERY issue. The Pasqual Ferry art is good! 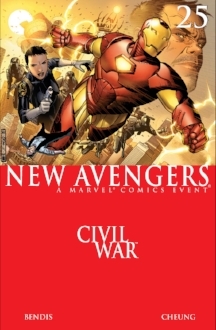 Bendis ends his Civil War crossover issues with a bang. Here we look at super-spy Maria Hill and Tony has a bad day. Don't mess with Kenny. Hawkeye is back! Also Wanda Fan Fiction! Sometimes you go after the Skrulls and sometimes they come after you. Usher in the era of the New New Avengers! Happy Thanksgiving! ...Captain America is dead... But don't let that spoil you Macy's Parade! Be thankful for one of Bendis' best issues and beautiful artwork from Alex Maleev! 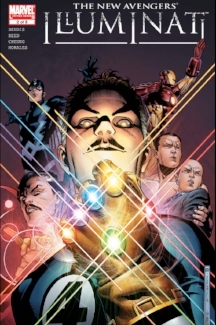 Grab your big metal shiny gloves, because its infinity gem time with the Ill Boyz! Welcome to the Marvel Universe under Tony Stark. I feel like we've gotten the team together before, but this time it feels a little Mightier. Things are so bad that it's time to call in Brother Voodoo. Plus Andy Kaufman stories with Jessica Jones. Could be worse. You could have to appeal to Elektra! Let's assemble the Mighty Avengers and get bummed out over Mole Man losing his poor harmless babies. 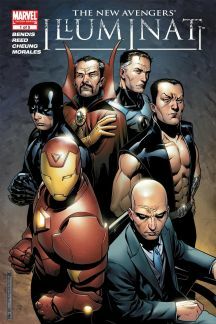 Clint is back where he belongs: among the Avengers! The boys from Arkansas talk about the cat lady in charge of protecting Arkansas: Tigra! Also Sentry isn't allowed to throw Ultron into the sun. Brian and Matt make the best out of a bad situation. What do you expect from us? It's Secret Wars II! But at least we got the Ill Boyz... are do we? Is she a Skrull? Is he? Is Brian? Is Matt? WHO CAN YOU TRUST! Feeling invaded yet?